Rise in petroleum and crude products imports during the first 11 months of 2018-2019 has led to widening of country's trade deficit to $165.6 billion, highest since 2012-2013. 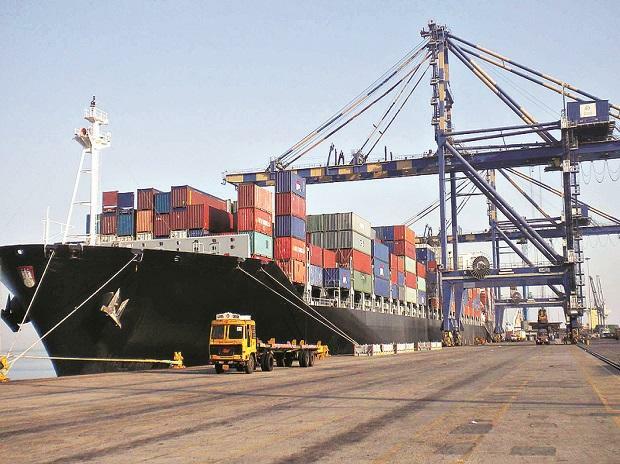 India’s trade deficit has risen to $165.6 billion in the first 11 months of 2018-19, an increase of about 11 per cent compared to same period of previous financial year. A report by CARE Ratings shows that the gap between exports and imports is the highest since 2012-13 when it peaked to $190 billion. Indian exports for the period April-Feb, FY19 have reached close to $ 300 billion, indicating a rising trend in the last four years. The exports had declined from $ 286.2 billion in FY15 (during the 11 months) to $ 239.3 billion in FY16. Imports on the other hand too have increased quite sharply in the last two years after declining during the 11 months of FY16 and FY17. Growth in the imports in the last two years has been 22.8 per cent and 9.8 per cent respectively. The surge in imports has also been higher than that of exports in these two years. The trade deficit had declined from $ 126.1 billion in FY15 (11 months) to less than $ 100 billion in FY17. The gap between exports and imports has started increasing again quite sharply to reach $ 148.6 billion during the 11 months of FY18 and further to $ 165.6 billion in FY19. “The trade deficit for the entire year is likely to be the highest since 2012-13 when it peaked at $ 190 billion. This is significant because the trade deficit has a bearing on the current account deficit to begin with and ultimately the balance of payments which gets reflected in the fundamentals that affect the exchange rate.”, the report states. USA is being the major destination and hence any development on the side of GSP (generalized system of preferences ) or other trade actions by the government on imports from India will have a bearing on our exports as it involves around $ 44 billion (during the first 10 months), the rating agency said in its report.